Landmarks or monuments are considered the pride of a country or culture. They are not only part of history, but are also reminders of what our ancestors had to endure. Some of the most famous monuments include The Statue of Liberty, Great Wall of China and The Eiffel Tower. The stories behind these famous monuments are things that we learn in school. But, what about unusual ones? The ones we don’t often hear about. Here, we have collected a list of unusual monuments that have become part of the scenery. Unlike the Stonehenge, the prehistoric monument in Wiltshire, England, Carhenge was built in 1987 as a memorial. 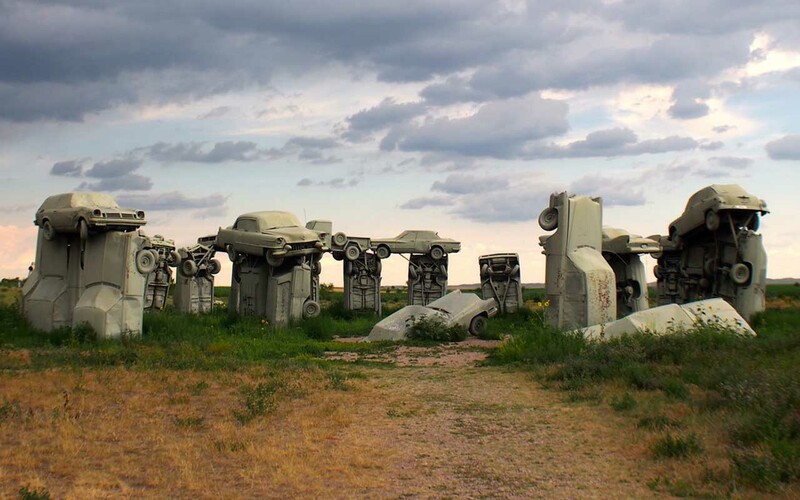 Located north of Alliance, Nebraska, Carhenge is made of cars, 38 of them, that were rescued from nearby farms and dumps. It was built under the supervision of farmer (and engineer) Jim Reinders, for his father, and he built the monument to match the proportions of the Stonehenge. Bill Heine from Oxford, England erected the twenty-six foot shark sculpture on his roof on August 9, 1986, on the 41st anniversary of the dropping of nuclear bomb “Fat Man” on Nagasaki. 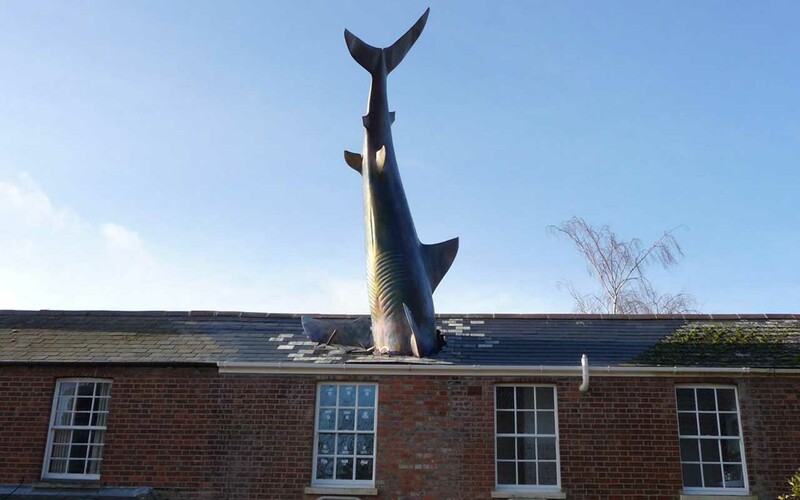 Bill Heine mounted the shark, head first, onto the roof in the middle of the night with the help of sculptor John Buckley. The monument was erected as a reminder of the devastation brought on by the use of nuclear weapons. While people from all over the world flocked to view the unusual monument, the town officials weren’t pleased. They informed Heine that he had to take it down or face consequences. Heine appealed to the British Secretary of the Environment, who agreed with him and allowed him to keep the monument. The Jimmy Carter Peanut statue or the Smiling Peanut statue is truly a monument of nightmares. Standing at 4 meters (13 ft) tall, with a grin on it’s face, the statue has no eyes. Located in Georgia, the unusual statue was actually constructed in Indiana in 1976; to honor Jimmy Carter’s visit to the state during his presidential campaign tour. 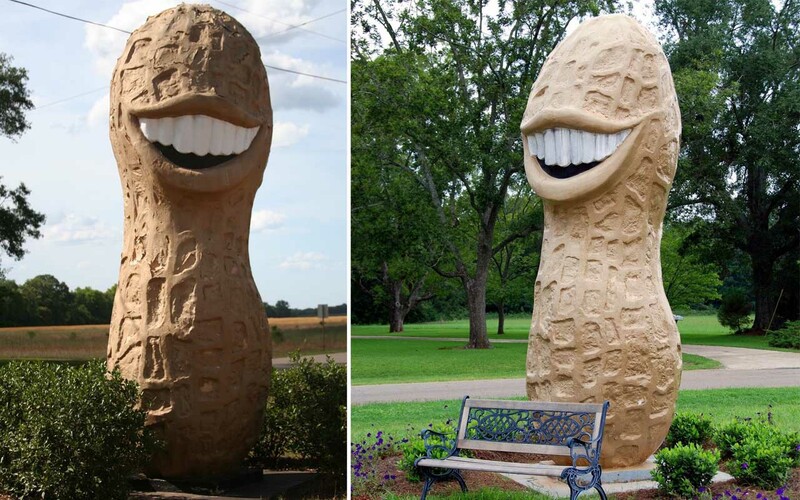 Of all the choices for a statue, why was a peanut the obvious choice? Well, it’s because before Carter became the president, he was a former peanut farmer himself. The boll weevil is an ugly beetle that causes great destruction to crops. The bug, which was native to Central Mexico, migrated to the US and started destroying cotton buds and flowers. So, why would the people from the city of Enterprise, Alabama, erect a monument to honor the bug? 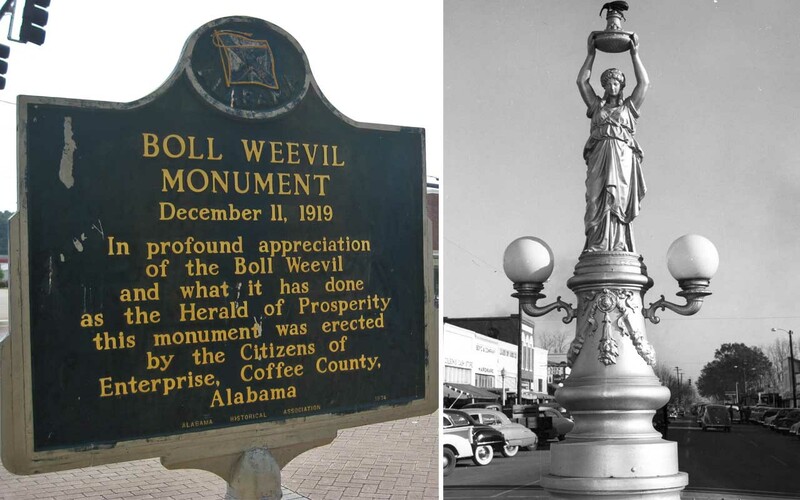 Well, according to history, during the early 20th century, Enterprise’s cotton crops were ravaged by the boll weevil. Farmers were devastated by the loss but had no other choice but to grow different kinds of crops; including peanuts. By 1917, Enterprise’s county had the largest peanut harvest in America. So, the county erected a statue to honor the bug who was responsible for their good fortune. 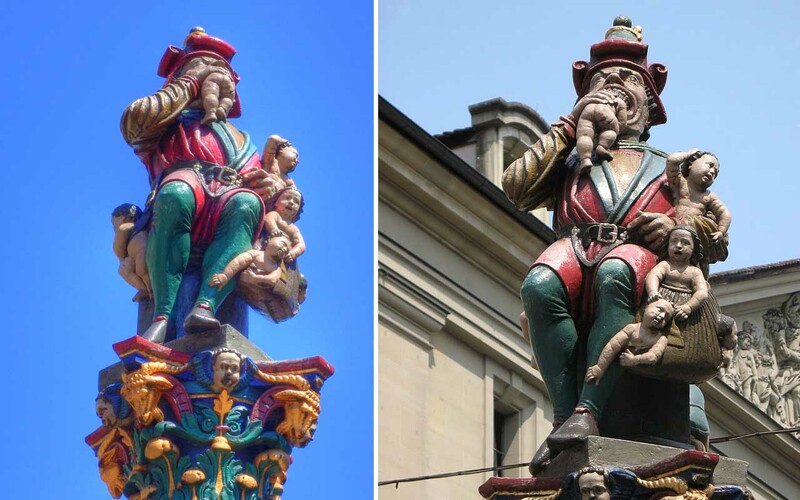 At a first glance, visitors might confuse the Kindlifresser Fountain in Switzerland for a colorful sixteenth-century monument portraying some Renaissance figure. But, a closer look shows something else. The statue is of a man putting something into his mouth: a baby. Created in 1546, the fountain depicts a man (possibly an ogre) having an unusual snack. But why does such a statue exist? In reality, no one really knows the truth about this mysterious monument. 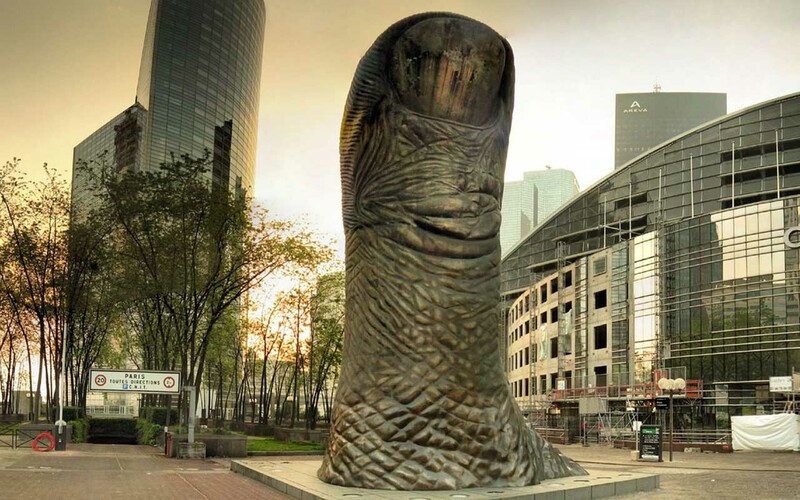 Le Pouce, located in a financial district in Paris, is an 18-ton sculpture of a thumb. Standing over 40 feet tall, “Le Pouce,” or “The Thumb” was built in 1965 by sculptor César Baldaccini. What’s so significant about the sculpture? Nothing much. In fact, the sculpture made of bronze by Baldaccini is a simulation of his own thumb, just much, much bigger. So, what’s the meaning behind the sculpture? It’s up to the viewer’s imagination. 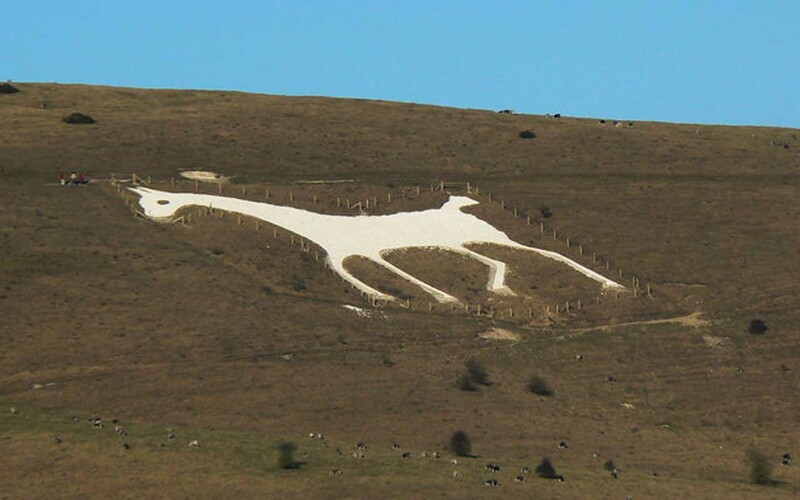 The Alton Barnes White Horse is one of nine horses that is carved into the hills in Wiltshire, England. Although the reason for its creation is unknown, its creator, Robert Pile, paid £20 to a man named Jack Painter. Painter, who was unfortunately a painter and a con man, subcontracted the job to another man. After Jack took off with all the money, the project was abandoned for a while. It wasn’t until Robert Pile paid another man, that the project was started. The horse was made by scraping soil off the ground and white chalk was used to fill it. The horse measures roughly 55 meters (180 ft) high and 49 meters (160 ft) long. 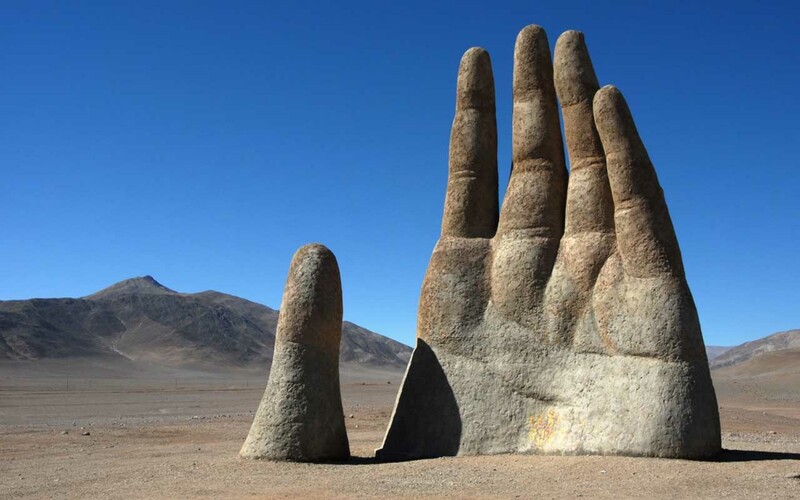 The Hand of the Desert is a giant sculpture that is located literally in the middle of nowhere. Built in the early 1980’s by Chilean sculptor Mario Irarrázabal, the monument is located in the Atacama desert. The hand rising from the ground was an obsession of Irarrázabal’s and is said to represent all the victims of torture and injustice. Vandals and graffiti artists however, see it as a target located in an isolated area. 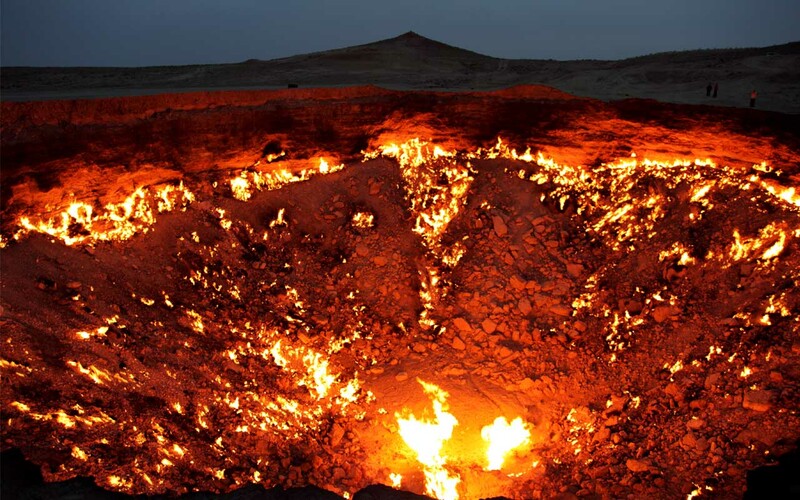 The Door to Hell, located in Turkmenistan, is just a seemingly-eternally-burning crater full of fire. In 1971, Soviet engineers drilled into a gas field, which ultimately collapsed. Thinking that the crater was leaking gas, the engineers lit it on fire; hoping that it would burn out in a few weeks. Sadly for them, and for all of humanity, the fire has been burning for more than four decades. The accidentally ignited crater is one of the world’s most popular tourist attractions. 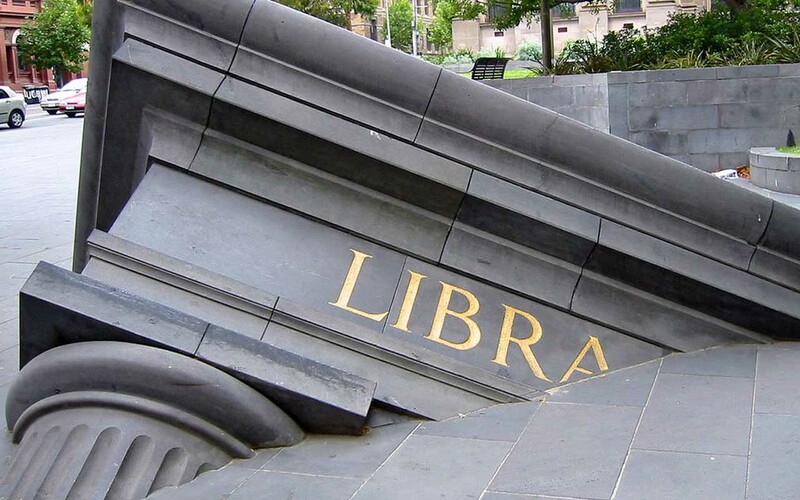 The Sinking Library, located outside the State Library of Victoria, looks like the end of modern civilization. Created by Petrus Spronk, the sculpture is named Architectural Fragment and is one of several pieces installed around the world. According to its creator, it is meant to symbolize the fragile and transient nature of all that is human. While some choose to view the sculpture as the disappearance of knowledge, some choose to see it as breaking barriers or as hope emerging from the ruins.